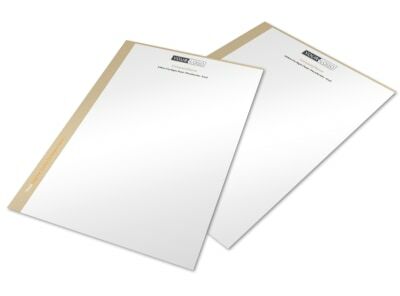 Make an impression with outgoing correspondence written on custom letterhead. Our religion and organizations letterhead templates put you on the fast track to customizing letterhead that casts your church, house of worship, or other organization in its best possible light among your recipients. Our online editor is fast and fun to use, making it easy to upload a logo, artwork, or graphic, and then add and manipulate text to fine-tune your letterhead’s design. Browse a bevy of fonts and other components to lock in on a design that you’re proud to call your own. Print your letterhead immediately from your location, or let us handle the printing for you for added efficiency.